Open roads with no congestion make it easy (and stress-free) for you to test drive your Mercedes-Benz of choice. Get a true feel for all Mercedes-Benz has to offer. Speaking of stress-free, we make your buying experience as enjoyable as possible by doing more listening and less talking to help you select the vehicle and features for your specific needs. Plus our intimate knowledge of each vehicle ensures that you’ll have a complete understanding of all your features and a high level of comfort when you drive home. We continue to earn your business by delivering world-class service to help keep your Mercedes-Benz running in peak condition. And our new EXPRESS SERVICE offers quick, dedicated care with no appointment necessary. We’ll perform routine maintenance and have you in and out in one hour or less. 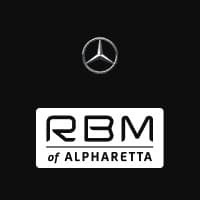 Learn more about our new authorized Mercedes-Benz Vans Service Center and our new Mercedes-Benz Brand Experience store at HALCYON in Forsyth County!